- Al Sheebi, A senior care taker of the Kaaba denied the claim and said his family did not own any piece of the Kiswah. 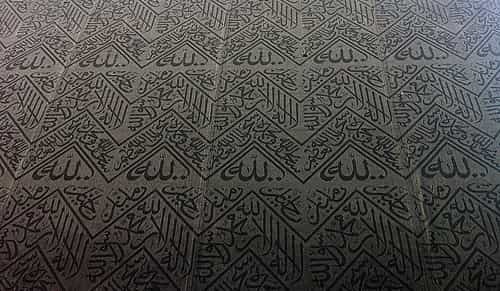 Many people claim they have authentic piece of Kiswah and use my family name to gain the trust and confidence of those who want to buy it. - Emirate of Makkah said they did not grant any licenses or permits to anyone for selling any part of Kiswah cloth. Unfortunately there are many people who is offering pieces of cloth that are copies of Kiswah not original. - Al Sheebi family is looking after the Kaaba was confirmed by Prophet Mohammad, who left the Kaaba key to the family and stressed that no one had the right to take it away from them. As per the family rule, the eldest member of the family is in charge of keeping and safeguarding the Kaaba key.